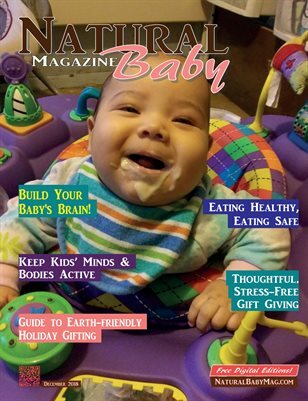 ​Natural Baby Magazine provides helpful information to expectant and new parents from birth through the first year using all natural products, solutions, ideas and more. CLICK TO READ THE CURRENT ISSUE-FREE DIGITAL EDITION! Submit Your Baby & Bump Pics! No information in our magazines, on our website or blogs is meant to replace advice from your family doctor, obstetrician, pediatrician, midwife or other medical provider. Although we align ourselves with holistic approaches, we are only providing information. This information is not meant to diagnose or treat any medical condition. Please seek medical attention whenever necessary.